The American Society for Testing and Materials International (ASTM) Committee Meeting for F02 and D10 committees was recently held in Lansing, Michigan. During the F02 meeting, there were discussions for potential round robin studies and upcoming changes to several standards. Nelson Laboratories is particularly interested in helping with the changes associated with the ASTM F88 and F1608 Standards. 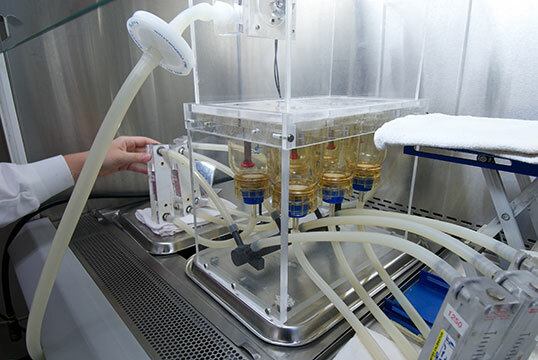 Proposed changes to the ASTM F1608 – Standard Test Method for Microbial Ranking of Porous Packaging Materials (Exposure Chamber Method) – resulted in part from work performed by members of Nelson Laboratories. The changes will be highlighted during the next ASTM F02 meetings to be held in Belfast, Ireland in the fall of 2014. The committee for ASTM F02 is seeking to perform a round-robin study for the ASTM F88 – Standard test Method for Seal Strength of Flexible Packaging Materials (Peel Test). While participating in this study, Nelson Labs will conduct a seal peel test on rigid containers with flexible lids. Our results will be compared to the results of other labs participating in the study, to show repeatability and reproducibility of the outlined test. The results will then be added to the precision and bias section of the standard. The committee is currently working towards developing a standard protocol. After the protocol has been finalized, labs to be involved in the testing should be determined. During the D10 committee meetings, information was presented from an inter-lab study regarding the vibration section of the ASTM D4169 – Standard Practice for Performance Testing of Shipping Containers and Systems. The current cycles are outdated due to new technology in the transportation industries. The changes would bring the ASTM D4169 standard closer to more realistic shipping cycles. Additionally, during the spring meetings a tour of Michigan State University (MSU) School of Packaging was arranged. The purpose of the tour was to show the facilities that MSU’s new students are exposed to when developing their education in the packaging field. These facilities are also a source of developing new technologies in the packaging field. I would like to thank the Faculty and Students of MSU for hosting the ASTM F02 and D10 meeting. They did a great job hosting the meeting and demonstrating the new technologies being study in the field of packaging.